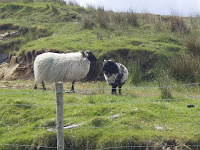 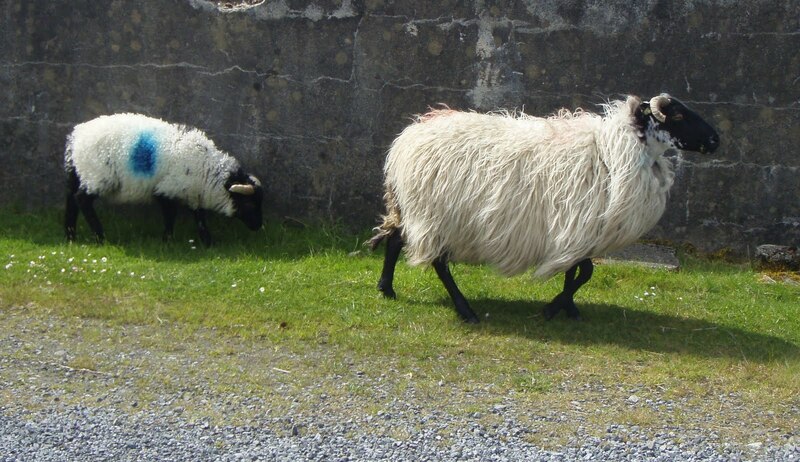 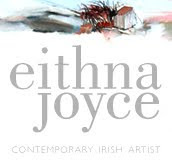 Little Bit of Blue- An artist's blog from the west of Ireland: Sheep, sheep everywhere! 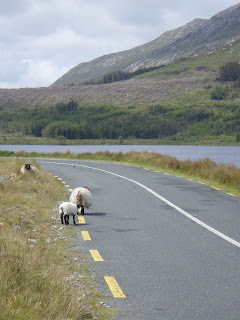 I had a lovely drive around Lough Inagh this morning. 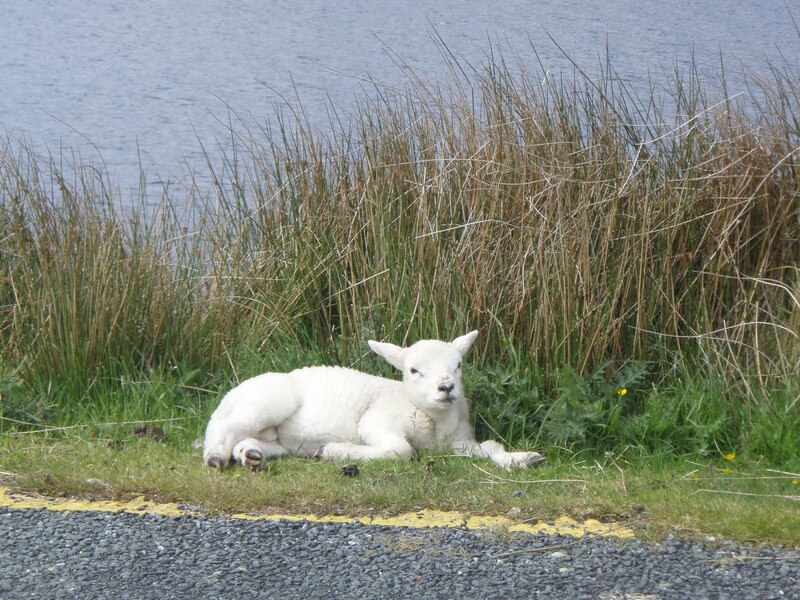 The sheep and their lambs were everywhere, resting on hillsides and rambling along the roads. They are mountain sheep and despite much fencing it is difficult to contain them, they wander freely on the roads and their lambs are born road-wise. The tourist slows down every time they meet them but the locals just fly by knowing that they are accustomed to the traffic. I think they prefer to sit on the road rather than the bog as it is not as damp. Nothing tastes as wonderful as Connemara lamb as they have such an interesting diet grazing wherever they can find food. 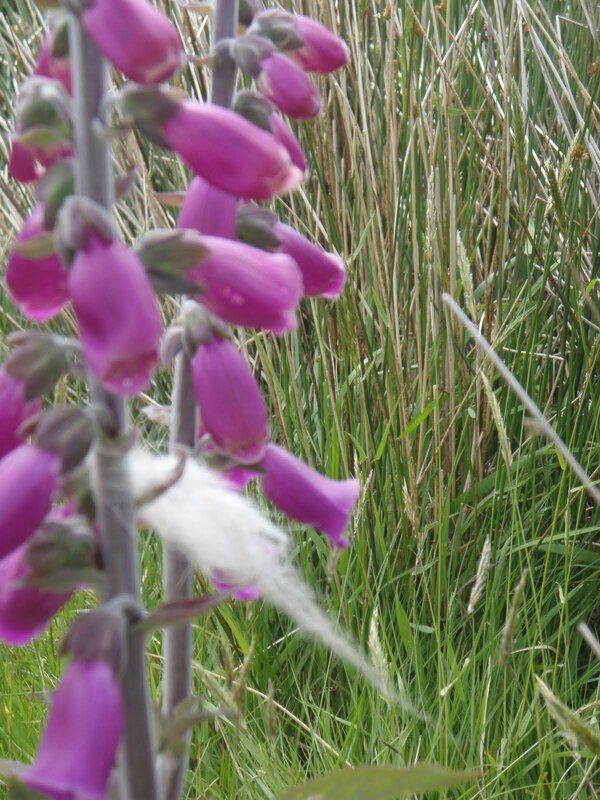 Even the foxgloves have some wool. 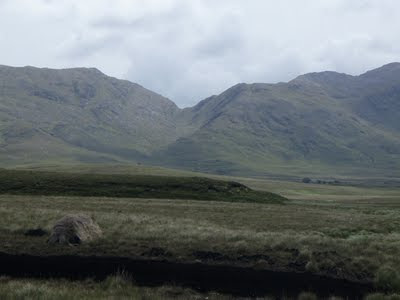 Yes, I drive through those parts once in a while myself and wonder whether the postman would really come ever day or hoard up my letters till it was worth the trip. 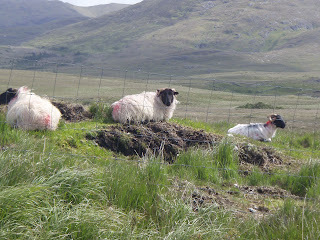 Green Fields and Stone Walls.